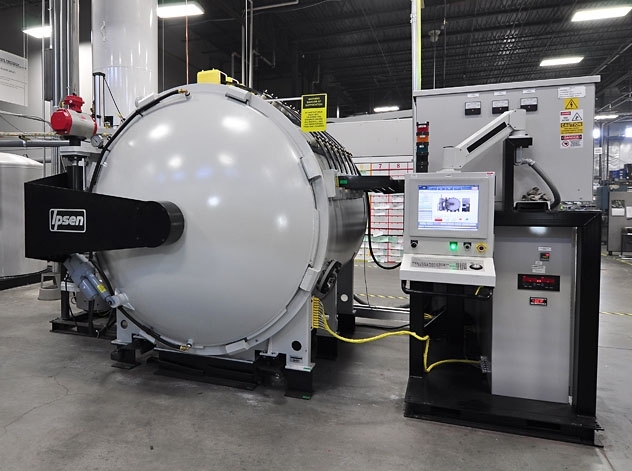 Furnace Engineering supplies the Ipsen USA range of Vacuum Furnaces for a huge variety of heat treatment processes. The furnace is designed for cost-effective operation, low energy consumption and low emission. Different types of horizontal, vertical, single or multi-chamber furnaces are available. They can be fitted with convection-type systems to increase throughput by reducing heat-up time and ensuring optimum temperature homogenity. The Vacuum Furnaces can be fitted with the Ipsen convective heating system which will reduce heating time by 30% (for convective heat transfer up to 850°C) and shortening subsequent tempering cycles by up to 50%. Further, gas consumption is reduced as quenching gas is used as convective heat transfer medium during tempering.